Merry Christmas Thanks to Eagle! Re: Merry Christmas Thanks to Eagle! Nice pic. A couple years ago Terry from the Rambler Ranch posted some pics of a few Eagles coming back from the tree farm with trees on the roofs. Good for you and your Eagle. I think Jurjen recently posted an older picture similar to yours. Here is another from a few years back. I couldn't enlarge it without making it blurry. buddy i did ther same with my eagle it looked great with the xmas tree on it, love the eagle in the snow and i love to go out for my tree in christmas time,btw great picture hope you have a wonderful xmas! It is almost tradition that I take the Eagle to get the tree. 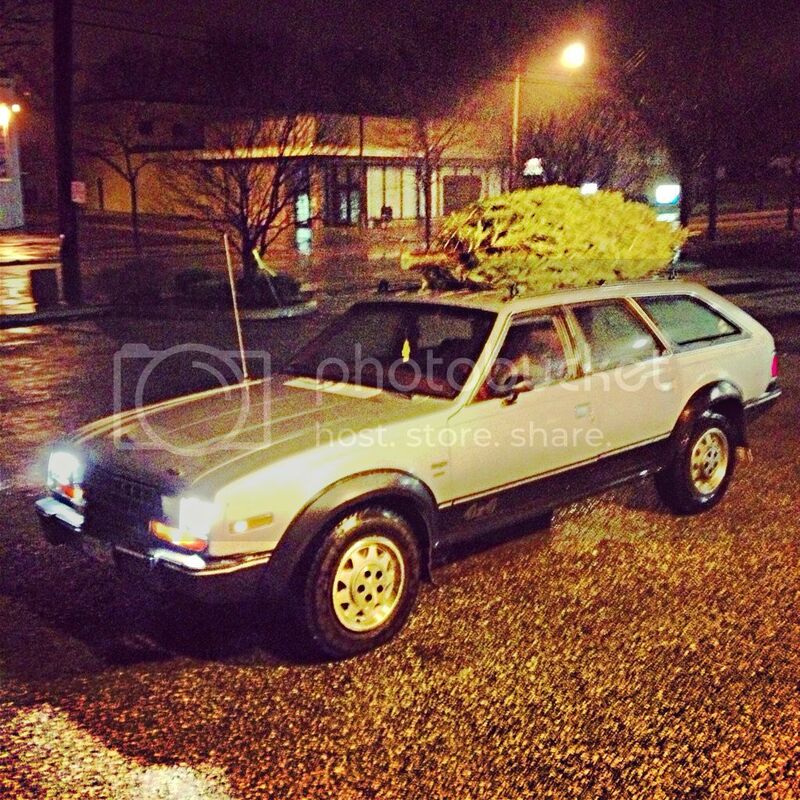 The guy selling trees recognized the car saying: "Hey, you were here last year, I remember that car". Eagle in Action to avoid disaster!!!! Photo included. My Eagle in Kenosha on the beach!